Foremost, read the RULES. I just updated them hardly an hour before making this thread, and they are still up-to-date as of 21 May 2015. Secondly, those looking for an idea of what kind of alternate universe we are running here, need look not much further than this thread. There are posts detailing the rules, the "culture" of this site, as well as what characters belong to what users. Chances are, if you're looking for it, it's probably here. The Last Airbender: New Chapters is an ATLA-style roleplaying site that has very open rules that make roleplaying whatever people wish, a fairly easy task. Those who are wondering about the current storyline should read this. However, also note that TLA:NC (often just shortened to NC) is very open and sandbox in nature, and because of that, there are sometimes crazy things that pop up, or the occasional inconsistency. Given that this is sandbox in nature and that that is sometimes how sandboxes work, this is suspected. However, there are a few facts that are set in stone that most users should familiarize themselves with. Aang removes Ozai's bending and saves the world. This is the part of the story that we all know and love (or hate. Whatever floats your boats). Plans between the Avatar, the Earth King, and Firelord Zuko come into effect for a Harmony Restoration movement, aimed at taking back the Earth Kingdom lands and ridding them of Fire Nation presence. However, soon Zuko goes back on the plans, which nearly causes Aang to keep his promise. Zuko was following again down Ozai's path. However, a Kyoshi Warrior provided a swift, decisive solution to the problem, since Aang was unwilling to kill his former friend. After assassinating the Firelord, she disappeared, and a brief Fire Nation civil war erupted as eligible contestants for the throne were found. Avatar Aang served as a great mediator of peace, and incidentally, Zuko's killer got off scot-free... after all, she was never discovered. Suki managed to keep the entire thing on the DL, and so little more was made of it. Had she been discovered, perhaps another whole war would have erupted. However, this was not the case for many years. A little over 50 years passed, and most of the old crew had gone the way of the world. Most notable was the death of Aang, which ushered in the birth of a new Avatar, a waterbender named Zulera. This gave way to a whole new slew of problems. Other than a recent war from an overly ambitious Firelord, however, the world has mostly remained at peace, and the offending individual was executed. The Four Nations have their own lands, as would be expected. The Fire Nation Colonies no longer exist. Since Zuko had an early death, and because of the failure of the Harmony Restoration Movement and eviction of Fire Nation citizens back to the Fire Nation, Republic City was never founded. While Chi-blockers do exist, the Equalist organization was never founded, possibly from lack of revolutionaries. Technology has made many advances, but the ultra-concentrated advancement of technology seems conspicuously absent, given the lack of a Republic City. However, recent breakthroughs have caused technology to expand at a rapid rate. The current year is around 182 or 183 ASC (After Sozin's Comet), or 83 years after Aang defeated Ozai. The current Avatar, born around 153 ASC, is a 30-year-old southern Waterbender by the name of Zulera Joanna Tallarico. the Air Nomads made a proper comeback after the war, with the highest concentrations of them being in the Eastern and Western Air Temples. The mechanists and refugees still live in parts of the Northern Air Temple, though there is also an Airbender presence there. The gender segregation of the temples no longer exists, and there is a fighting spirit in a lot of them, particularly those native to the Eastern and Western Air Temples. the Southern Water Tribe is built into a massive fortress similar to (but still smaller than) its Northern sister. there is also a network of smaller cities around both capitals. the Earth Kingdom has all of its lands back, including what the Fire Nation had taken from them during the 100-Year War. A large modernistic metropolis named Zulera City has emerged as a bastion of technology and industry, as well as a mixed melting pot of world cultures. It is the cultural, economic, industrial and technological hub of the Avatar world. But that was then. This is now. Here is a bit about the flow of each of the Four Nations at the moment. The Fire Nation is probably the most stable of the Four Nations at the moment. They are still the most technologically advanced of the Four Nations, but since the wars have stopped, the technology has been shared more considerably with the Earth Kingdom and Water Tribes, who are "catching up", so to speak. Most people were able to get over the last war fairly quickly, and so hostilities between nations are at a minimum now, and the Fire Nation welcomes diversity. Recently, Avatar Zulera herself gave Tarek Raiden and his wife Sanaki her blessing, and using her authority, conferred the throne of the Fire Nation palace to them, where they have ruled with much stability and authority since then. The consistency of a ruler here has kept the place fairly orderly, though there is still the inevitable crimes here and there. While they possess considerable and very respectable military strength, however, the last war proved that the Earth Kingdom had had a superior advantage, perhaps due to either poor planning from previous Firelord Novai, or expert planning from Meili, the Earth Queen. If nothing else, the Earth Kingdom's sheer size and numbers had them outmuscling the Fire Nation, but at this point, no one is really keeping track given that these are times of general peace. In terms of relationships, the Fire Nation is actually on rather good terms with the Earth Kingdom now, actually, and even the Earth Queen herself. It still does not explain a few mysterious rumors and legends that have occurred within the walls of the Capitol City or the Palace itself, but most people don't think about that too hard. Ultimately, the Fire Nation is currently full of happenings and makes for a lovely vacation spot. --The Sun Warrior City is also still present, although they mostly keep to themselves. Now and again one might show their face elsewhere, but they generally prefer to mind their own business, even if they are not necessarily hostile to outsiders (the opposite is truer, in fact). The Water Tribes are easily the most mysterious of the Four Nations, staying behind their icy fortresses to great effect. their defensive capabilities are easily the most powerful of the Four Nations by a long margin, especially given their homefield advantage by being surrounded by ice and water. There is a reason, after all, why it is the only of the Four Nations to have never been fully conquered. Their technological growth is also rapidly accelerating, thanks to innovations from some of the Tallaricos, including and perhaps especially, because of Zulera. Their defensive power is the bulk of their military might, with much less offensive capabilities otherwise. The Southern Water Tribe has since been turned into a large network of fortresses as well, and the Northern Fortresses have only grown in size and strength over the last 80 years as well. There are also smaller, still-fortified cities that surround the Capitol fortresses in clusters, and beyond that, is just more frozen wilderness. Despite being on opposite ends of the world, the Northern Water Tribe and Southern Water Tribe get along very well and are very much unified. Their only downside is that both of them have been missing strong leaders for a long time now. however, their independent way of thinking has kept things under control fairly well, though a lot of outsiders tend to think that the Water Tribes are somewhat shady places now. The Avatar and her family have not exactly helped this, but that is more due to their secrecy than their actual misdeeds. Despite their isolation, they do have fairly open borders, and there are plenty of waterbenders that travel to and from these locales rather freely. Similarly, waterbenders are not the only ones who make residence and/or do business in the tribes. While they do adhere to many of their old traditions, the Water Tribes are more of a voluntarist/libtertarian society at this point. While they are currently lacking a formal chief, an influential politician by the name of Zurok often helps ensure that their interests are being accounted for. Similarly, since the Avatar hails from the Southern Water Tribe, she keeps their interests close to her when she can. Recently, however, she formally became the chief of the Northern Water Tribe, while bequeathing rule of the Southern Tribe to a man named Nelekar. --The Foggy Swamp tribe, having been left alone for so long, is still fairly primitive, but the inhabitants there occasionally travel as well, and are more than happy to welcome outsiders, even if there might be a little joking or teasing them in the process. The Air Nomads do not have a formal leadership anymore (unlike the Water Tribes, who simply lacked formal leaders for a brief period), and are much more free-spirited and independent. They are the least likely to stay in their respective nations, and so Airbenders are seen roaming the other three nations quite frequently, rather than just staying in their temples, which are also no longer segregated by gender. The Southern Air Temple is the most "traditional" of the Air Temples, in the sense, (other than it housing both male and female airbenders now) that it is the closest match to the original traditional Air Nomad Culture. It was done so in honor of Avatar Aang, who once called it his home. The Western Air Temple is a specialized and almost militarized defensive outpost, where many Tekina-Kaze warriors are trained. This temple has the most "military"-related themes, but is still plenty peaceful. While there are male and female airbenders here, the majority of them are female. This is a trend that also continues into the Tekina-Kaze. The Northern Air Temple houses a few mechanists, but most of them have since returned to the Earth Kingdom proper. Still... because of their endeavors, the Air Nomads do have a bit of technology, which they mostly use among the Tekina-Kaze for defensive purposes. The Air Nomads do still wish for peace, after all. The Eastern Air Temple, while the birthplace of the Tekina-Kaze and their founder, is more of a mix between the Western and Northern Air Temples insomuch that it is peaceful, but that it also has several contingents of Tekina-Kaze here. It is also still the home of the Sky Bison herds. While there are plenty of Air Nomads who know how to fight, most of them are perfectly content with leading peaceful lives as leaves in the wind and whatnot. While people like Xilingshi do take special consideration of the interests of airbenders, most of them handle themselves, and do so quite well when all is said and done. The Earth Kingdom is the largest and mightiest of the Four Nations due to their sheer numbers. However, many of these are nonbenders, and so they have a fairly proportionate amount of earthbenders compared to the likes of firebenders in their densely-packed islands or waterbenders in their frozen cities. While there are some accusations that the current Queen, Meili, is corrupt, she has done much for her country, and has helped build it into the strong and powerful nation that it is today. Apart from that though, Meili has made many campaigns, inside and out of Ba Sing Se, where she relates to and mingles with the rest of the "common people". She has experienced much, and there are many reasons why she is queen--and not just because she's a good stateswoman. Her tact and cleverness have taken her a long way, both in her standing in the world, and in the eyes of her own countrymen and women as well as those outside of her borders. Of course, a country so large and vast cannot always be tamed, and so there is crime abounding in the various parts, though there are vigilantes and law enforcers alike who help clean up that sort of thing with various levels of success. And of course, the Dai Li and Kyoshi Warriors have eyes and ears everywhere nowadays, rather than just in Ba Sing Se. The Earth Kingdom is far from a police state, however, and so it's not like going from totalitarianism within Ba Sing Se's walls to downright anarchy in the first rural village entered. The Rings of Ba Sing Se still exist, but are not nearly as isolated from each other anymore. There are still rich and poor, though travelling between these districts is much easier than it used to be. It is the same way in other large cities of the Earth Kingdom as well. Also, Earth Rumble tournaments still exist, and now jut in Gaoling either. --The Sandbender tribes of the desert are still there, but are also still fairly primitive given their isolation from other cultures and societies, as well as a lack of too many people wishing to venture out into the desert. They are a bit more aloof than the Swamp Tribes, but are not necessarily hostile or unfriendly. Similar to the Sun Warriors, they will simply leave people alone if they are also left alone. The world is also on the verge of a large Industrial Revolution. 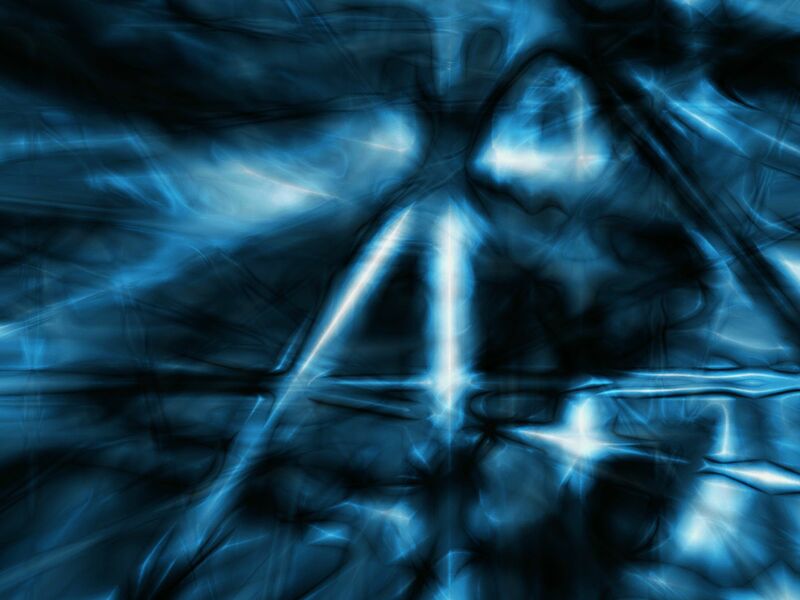 Technology is expanding at faster rates, and various mechanics, engineers, inventors, and other such brilliant-minded people are progressing this motion, and even the Avatar is making great steps towards making this become a reality. She has founded an island city off the coasts of the Earth Kingdom and Fire Nation, easily accessible to citizens from all four nations, and named this technological melting pot "Zulera City". Now that you know a bit about the world of New Chapters, and the In-character (IC) section of it... let's take a looksie at the Out-Of-Character aspects, shall we? ►As of this post, I, Zulera, am the only admin of the site, and so my word is pretty much law. Not to say that I cannot be reasoned with, but just because some other stupid site did something this way or that doesn't mean we have to. The system we have in place obviously works at at least some extent, which is why there are people here. ►I sometimes "kick" people from the chatroom. This is usually just to get their attention or because they forgot to log out. Sometimes, it's even a form of endearment. I am not nearly that trigger-happy with my banning key though, so don't worry. Kicking is useless anyways because you can just log right back in. in fine, don't take it personal. It's not. ►Given our sandbox-style world and site, we are very much more focused on the quality of characters and motivations. We like to chat about such things on the site and chatbox. We might have complaints about characters (be they our own, or others). If yours comes up, don't be offended. Most of us are usually fairly happy to help. ►A lot of us have alternate accounts. Some people do not like that Rule. If you are one of those that does not like that rule, we do not care in the slightest. While we encourage you to make multiple characters, it is not required. However, we (and I) are more than willing to help make the alternate account process as easy as possible. ►These are not *rules*, per se... not even "guidelines", to reference Pirates of the Caribbean either. They're just general trends that have formed on the site that we felt new or old members should be aware of. Most importantly, we're about having fun. That's what we do around here. So if you can handle some literate folks making inappropriate jokes and bad rhymes... you'll fit right in. Don't worry. Now for the post y'all have been waiting for. Sick and tired of seeing all of those alternate accounts? They are now going to be listed here. Members past, present, and future--anyone who has had more than one account will be listed somewhere. I'm too lazy to write and update descriptions, and so I'll just post their age, gender, and bending skills. Characters will be posted in numerical order with a few exceptions. I'll add more to this thing later, but these are the currently active members of NC that have more than one account. --is the father of Naseru Amiti Litzak Jr.
--was the subject of research interest for Naseru Sr.
--is the adopted child of Naseru Sr. and the adopted sister of Naseru Jr.
--was guided into town by Naseru Sr.
--often joined Tarek and Kako on their wild manly adventures. --have done nothing notable of worth. ALSO. 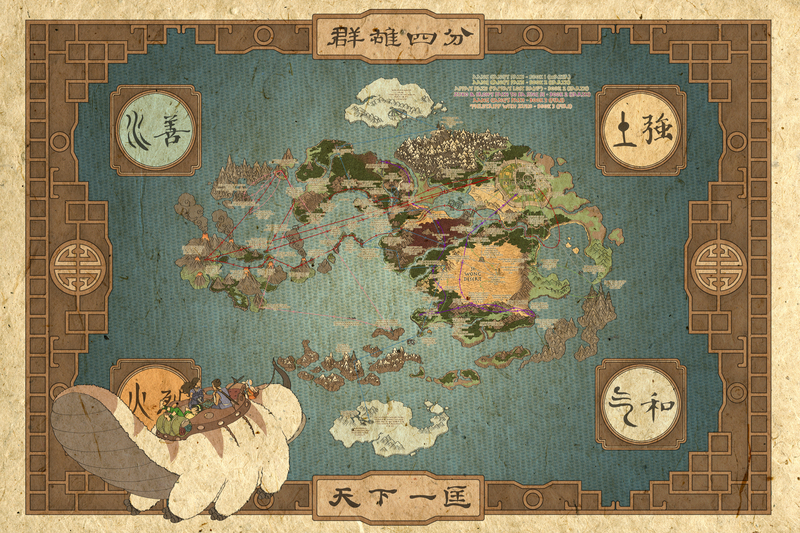 here is a map of the Avatar World. Be warned. it is enormous. Here is also a map of the location of the newly formed Zulera City. I have an edittable version of this map on my computer, so if we ever need something for NC-specific locations or plots or what have you, I can whip it out. Is absolutely epic! I love it.